The Monoliths, Mandorlas, Steles and Lintels were intended to be shown on pedestals, so as to raise them to the height of the viewer and signify them as being “art.” However, when I showed them that way, in my opinion, they were separated from the space in which they were shown and from each other. 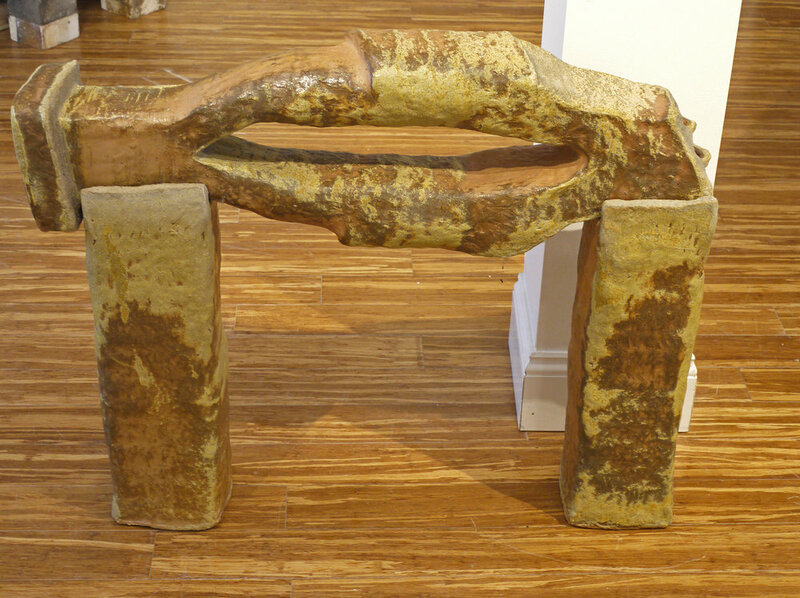 Informed by “Minimalist” sculpture from the 1960’s, I created a series of sculptures, utilizing multiple more or less geometric forms, intended to be shown on the floor and to relate to and influence the perception of the gallery space and each other. This two person show at the Saratoga Clay Arts Center in Schuylerville NY in September 2018, along with my friend Jordan Becker, was the first in which I was able to display these sculptures as I had intended. COPYRIGHT © DAN GREENFELD. ALL RIGHTS RESERVED.